A push payment technology means that the customer decides how much money to give to the merchant and then gives that amount, without need to reveal any sensitive information. A pull payment technology means that the merchant gets all the sensitive information and account details necessary to pull money from the customers account. Credit/debit card payments are a pull payment technology. That means that the merchants payment terminal receives all the secret credentials to the customers account and then decides how much money it will pull from it. The card owner is at risk of having all the secret account credentials stolen if he puts the card into a compromised terminal or if he hands the card over to a fraudulent person that copies the secret account credentials. The merchant is exposed to the risk of accepting a card payment from a person who is not the rightful owner of the card, in which case he will likely loose 100% of the value of the goods or services he handed over in exchange for the fraudulent payment. For the merchant to protect himself against fraudulent card payments he may chose to insist that the customer provides personal details and private information to prove that he is the rightful owner of the card. This is both time consuming, costly, and a invasion of privacy. Cash is a push payment technology. The customer decides how much money he hands over and the merchant cannot take more money than what is voluntarily given, and no personal details of the customer needs to be exposed to make a payment. Ones the merchant receives the cash he has received the full payment and the transaction is settled as soon as the merchant have given back the change, if any. The merchant is at risk of accepting counterfeit money and for this reason he may chose to carefully verify that the bills he receives really are genuine. This can be time consuming and costly. There can also be fees for the merchant for keeping the cash received safe and minimizing the risk of theft and robberies in the store as well as fees for depositing the cash into a bank account. Bitcoin is a push payment technology. The customer decides how much money he wishes to send to the merchant and he doesn’t need to hand over any secret account credentials or personal details to complete a payment. The customer sends over the exact amount of money requested and the merchant directly receives confirmation that the payment has been made. The transaction is immediately broadcast to the decentralized Bitcoin network where it will be processed, verified and secured by inclusion into the blockchain. There are no fees for the merchant to except bitcoins and there are no fees for storing bitcoins securely (See: 2. How to store bitcoins). There is a technical possibility that a fraudulent customer paying with bitcoin can do a double spending attack to render a payment just sent to a merchant invalid. This type of fraud is only possible to make in the short time window (usually 0 – 10 minutes) before the transaction has been included in a block in the decentralized Bitcoin blockchain. To commit this fraud several requirements are needed. 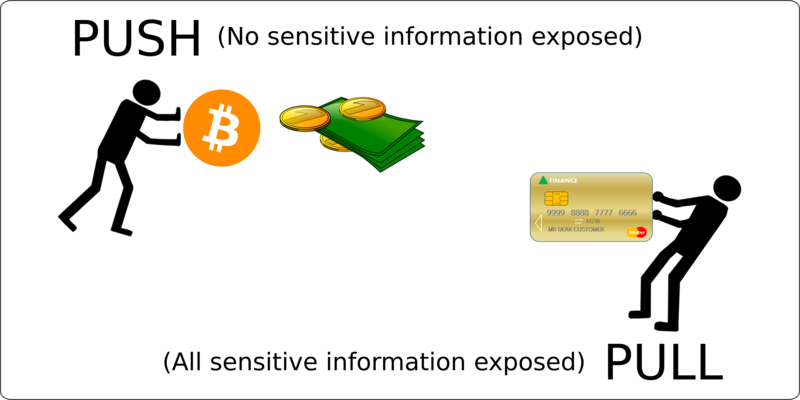 The fraudulent customer needs to have software that is specially built to broadcast a new transaction to the Bitcoin network of the exact same bitcoins that was transmitted to the merchant, and this new second transaction need to have a higher transaction fee broadcast to the network and it may also need a better internet connection so that this second transaction reaches the network before the first payment that was sent to the merchants bitcoin address. If you believe that you are at risk of this type of fraud, perhaps because you sell expensive goods over the counter or maybe digital goods online, you can easily protect yourself by waiting a few minutes until you have one confirmation in the bitcoin blockchain before you give or send the goods to the customer. Additionally, if you sell something very expensive for bitcoins, such as a house, you probably want to wait 30 – 60 minutes for 3 – 6 confirmations in the blockchain before you consider the payment absolutely settled and you sign over the house to the buyer. In this way not even a major bug in the bitcoin network or a fraudster with enormous amounts of computer power at his disposal can undo the payment. A large reason for why credit card payments are so expensive is that a credit/debit card payment is insecure and that the payment can be reversed. This makes it inevitable for the card company to be forced to handle disputes regarding fraudulent customers and fraudulent merchants. When a credit card payment is made the transaction is not finally settled, the payment can be disputed for 60 days after the payment was made. This means that the merchant cannot be sure that he will keep the money he receives before at least 60 days have passed, and if there is a dispute the merchant has to use valuable time to address the dispute and prove that he was not careless when accepting the payment, to have any chance of keeping the money. Fraud with credit/debit cards costs society staggering amounts of money. A 2009 study calculated that in only one year in USA, banks lost $11 billion, customers $4.8 billion and merchants lost the enormous sum of $190 billion due to credit/debit card fraud. Bitcoin payments on the other hand are irreversible. When the transaction has been signed and transmitted to the Bitcoin network and included in a block, there is no way to reverse the transaction and the receiver owns the money that was sent. The only way to get the money back is if the receiver voluntarily sends the money back, or if you manage to steal the money by forcing the other person (provided you know who it is) to sign a transaction to send the money to you. Cash is irreversible in much the same way as bitcoin. When the cash is handed over you can only get it back if it is voluntarily given back or if you steal it. Because bitcoin payments cannot be reversed when they have been included in the blockchain, and bitcoins cannot be counter fitted, you do not need to trust the person you accept bitcoins from and that person can also remain totally anonymous without any risks of not receiving your money. With bitcoin, the merchant can be absolutely sure that he always receives the money and that nobody can reverse the payment after the trade. Both bitcoin and cash is a peer-to-peer payment technology with no middle parties that can be forced by regulation to hold on to the money for a certain amount of time and handle disputes. Credit/debit cards are centralized payment technologies where third parties such as banks and financial institutions are custodians of the money and the means of accessing the money and authorize payments are inherently insecure and suffers from fraud, hacking, and identity theft. There are several companies that offer merchant services that allow merchants to accept bitcoins that are directly exchanged into local fiat currency and deposited into the merchants bank account. In this way the merchant doesn’t take any currency fluctuation risk due to the varying exchange rate between bitcoin and the local fiat currency. The largest companies offering these merchant services are BitPay with over 60,000 merchants worldwide and Coinbase with over 40,000 merchants worldwide using their services. There are several other companies that also offer these kind of merchant solutions in different countries and they all charge between 0 to 1% per transaction. 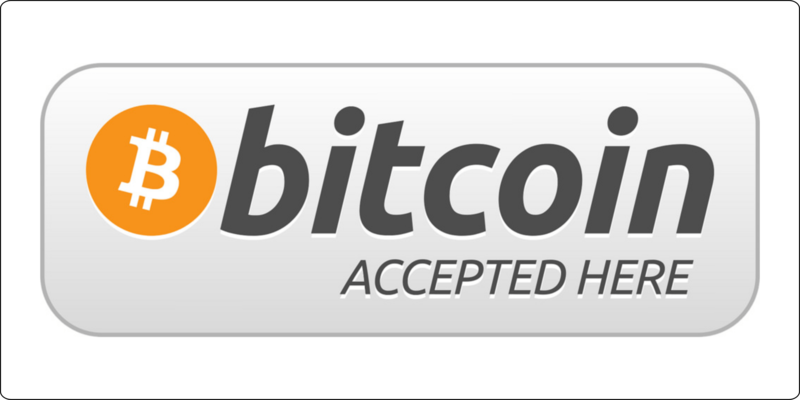 So if you do not want to keep your payments in bitcoins just yet, and use bitcoin as just another payment network, there are good options for direct conversion to your local fiat currency with fees well below what it costs to accept credit/debit-card payments and while at the same time enjoying all the security benefits of bitcoins over the other payment options. Bitcoin is still a rather small but rapidly growing currency. People that have bitcoins and are interested in Bitcoin are still few compared to the general population. However those that do and that have understood the potential use cases of Bitcoin and how it is about to change the world in a big way are often fanatically interested in Bitcoin and wants nothing more than to see new businesses in there neighborhood to start accept bitcoin as payment. As a new merchant starting to accept bitcoin you can expect to receive a lot of positive attention from people who love Bitcoin and those people will probably be more than happy to come and patronize your business with there bitcoins. So expect to receive new business from bitcoin fans that you otherwise would not get. By starting to accept bitcoin as a merchant you will be connected to the first totally decentralized and borderless payment system in the world. You can instantly start to accept bitcoin payments from anyone in the world, sent from any mobile phone, tablet or computer. Fraud, chargebacks, high transaction fees, and fees for specialized payment terminals severely reduces the profit margins for merchants accepting credit/debit cards and even accepting cash incurs mayor costs to most businesses. Bitcoin is a new decentralized global payment network that offers a much higher level of security and that has lower fees than traditional payment methods.